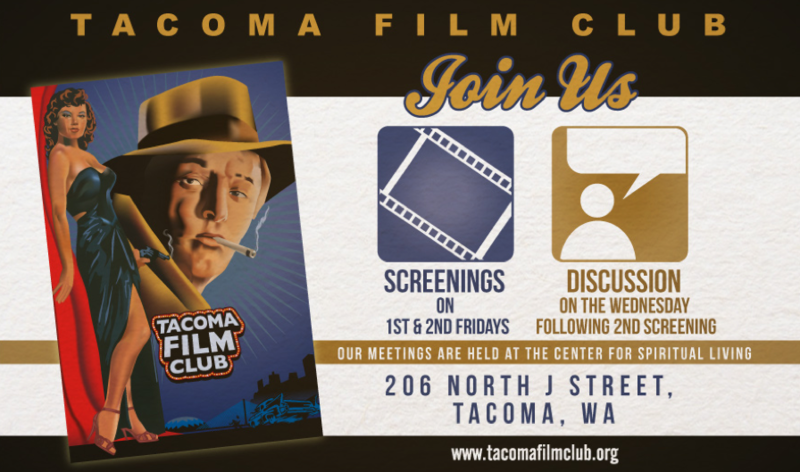 The Tacoma Film Club has a Winter Party for the Holidays on Friday, December 7! Jim will bring his famous smoked turkey. It’s a potluck so if possible please bring other trimmings and libations. If bringing something, please add a comment below to list your contribution to the potluck. Our Holiday Film will start around 7:30, give or take. For any other questions regarding the party, contact TFC via the email function on this web site. NOTE: There are no other film screenings and no film discussion for December. Regular TFC schedule and film screenings will pick up again in January 2019. Please leave a quick note as to what you’re bringing to the holiday potluck in these comments. I’m bringing wine and cookies. I’ll bring some cranberry sauce, fresh fruit, and wine. I will bring home made bread and cider. I’ll bring a pickle tray. I can stay only for first half hour. I will bring cookies and wine! I’m bringing Buffalo chicken dip and pita chips.